I use the Universal Fit and it's amazing! I've heard such great things about Universal Fit and I'm so intrigued to give it a try. I live nowhere near a KIKO counter so would probably have to guess my shade which does put me off slightly, although for the price I suppose you really can't go wrong! I really want to try some stuff from Kiko! Great review! Your enthusiasm is infectious! I have yet to try my first Kiko product. I love Kiko!!! Although your post has made me want to go and buy some more stuff haha. I just love the name.. Kiko Kiko Kiko :D :D :D I wonder if there's a meaning to it? Such a thorough review of each foundation. I'm going to bookmark this page for future reference! I know I can skip the Liquid Skin Second Skin one since I don't have anything remotely near a perfect skin... On the other hand, the Unlimited Foundation sounds like a winner! Great, in-depth reviews. I really wish KIKO was here in Canada, miss shopping there. I love KIKO eyeshadows, but never set out to explore their foundation. Clearly, that needs to change! This is an absolutely fantastic product review!! 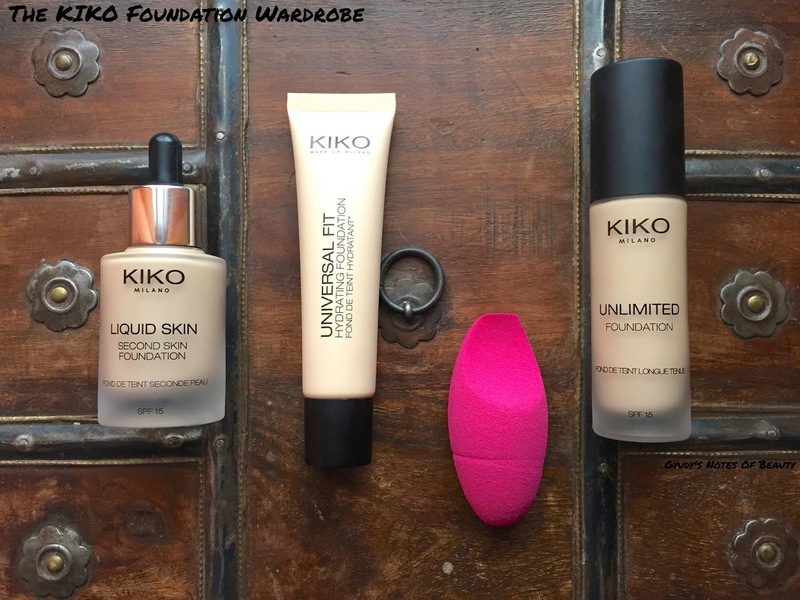 I love KIKO foundation, and am definitely in favor of your review. Ahh thanks for this post :) A KIKO recently opened up in my local mall, definitely have to check it out! Ottime review! In wishlist ho ormai da tempo il Nars Sheer Matte, quindi non appena avrò finito un po' di fondotinta punterò su quello. Ma l'Unlimited è da tenere in considerazione. Sono contenta di aver trovato un'altra blogger di Torino! ;) Ti seguo volentieri, il tuo blog è molto ben curato ed interessante. Studi lingue?